On-site and with no need of a fishing licence, carp, pike, roach, perch and eels are all in reach of your line at the Yelloh Village Château la Forêt in the Vendée. With 2.6 ha of lakes you’re certain to find your ideal spot. Carp fan? You enjoy night fishing? Come and pitch your one-man tent by the lakeside, then it’s over to you! The record to beat, for those who enjoy coarse fishing: a 14kg pike measuring 1.26m. Will you be up to the challenge? 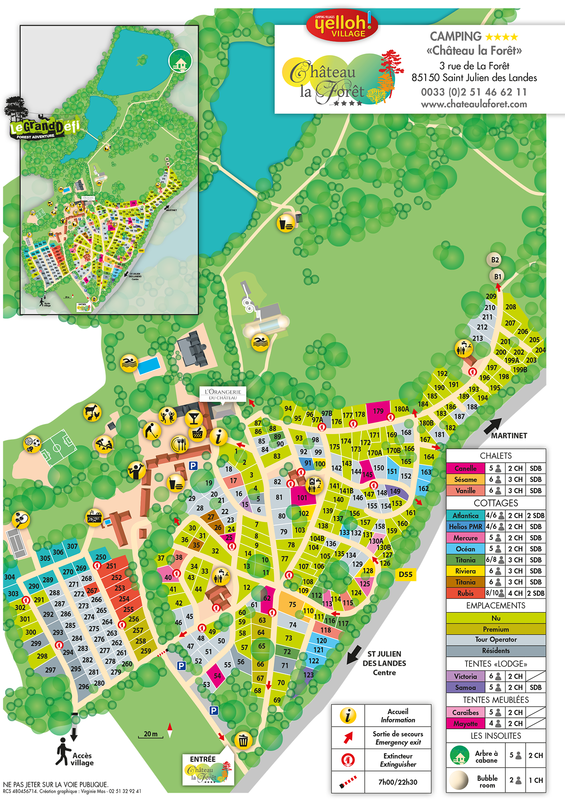 The Château la Forêt campsite at St-Julien-des-Landes in the Vendée makes the ideal spot to teach your children the rudiments of angling. They’ll be delighted to give it a go! This sport offers them the perfect opportunity to interact with nature and learn to respect animals. A fishing hut is available for your use with: fish-tank, hot and cold water, a fridge to store your bait and a worktop to change hooks and prepare your lines. Please bear in mind that only “catch and release” fishing is allowed in our lakes. In other words, you can catch the fish but you must let it go again under the best possible conditions. It’s better for all concerned! Near the campsite you also have the possibility of fishing in other pleasant spots such as the Jaunay Lake. A 100ha playground awaits you! You enjoy sea fishing? Angling trips are organised from Les Sables d’Olonne and Saint Gilles Croix de Vie (18km away). So, the only thing left for us to say now is: happy fishing!